SYDNEY/MELBOURNE (Reuters) - A critical mountain pass on the railway connecting Australia's biggest coking coal mines to ports has been hit by landslides and buckled tracks caused by Cyclone Debbie, witnesses said, crippling efforts to get exports of the steel-making ingredient flowing again. A helicopter pilot and residents local to the choke point on the Goonyella railway told Reuters by phone on Tuesday about damage to the track, which last year transported nearly 120 million tonnes of coal for mining giants such as BHP Billiton. 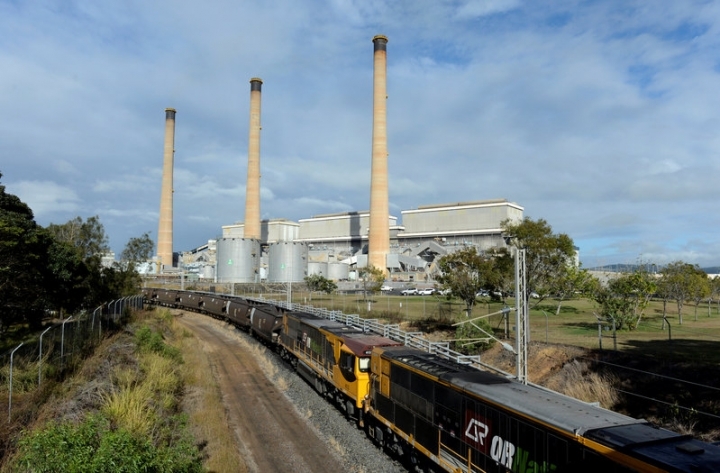 The line's operator, Aurizon Holdings, repeated that it would take around five weeks to finish repairs and that alternative routes would be considered, without giving details on the extent of the damage. "The rain came down the range like a river. (It) just washed the rail lines out. I haven't seen anything like this in my 60 years here," said Dennis Wilson, a caravan park owner who lives near the rail network. Cyclone Debbie, which struck last week as a category four storm, one rung below the most damaging category five, has left a disaster zone stretching 1,000 km (600 miles) in the northeastern sate of Queensland, with subsequent flooding claiming at least four lives. Queensland accounts for over 50 percent of global seaborne supplies of steel-making material coking coal, with the disruption driving up prices by over a quarter on Monday in their biggest single-day jump on record. Independent Australian mining analyst Peter Strachan said the rail lines were a vital link in the world's coking coal supply chain. "I'd have thought the market might be taking too much of an optimistic view of how bad it is and as the information starts to seep out people will realize how long it's going to be," Strachan said. Between 12 and 15 million tonnes of coal shipments could be affected by the cyclone, Mark Pervan, chief economist at AME Group, said on Tuesday. Of that, about 10 million tonnes is coking coal, accounting for 3 percent of the global market. Three smaller producers in the region have already declared force majeure on coal cargoes, partly blaming rail lines being down. China's Yancoal Ltd has halted output at its Middlemount mine, while privately owned QCoal said it could not deliver two coal shipments "due to infrastructure availability". Jellinbah Group, which owns two mines in the region's Bowen Basin, said it had declared force majeure on some, but not all, shipments. While floodwaters have receded from many areas, last week's deluge is still flowing through river systems in Queensland. New Zealand is bracing for heavy rain on Tuesday as the storm crosses the Tasman Sea. A railway engineer, who declined to be named because he was not authorized to speak about the damaged tracks, said the land needed to dry before repair crews could get heavy machinery to the affected spots. BHP, the world's top exporter of coking coal, said it would "seek to manage ongoing access to ports and shipments to customers". The only alternative rail routes are to access lines heading north or south. The southern route is in a region forecast to be hit by further flooding this week, as levels in the major Fitzroy River catchment, continue to rise.